Both Ukip and the Green party emerged from the general election with one MP each: an outcome that has temporarily united them in support for a reform of the voting system. While the result was no surprise as far as the Greens are concerned, I thought Ukip would do a tiny bit better and end up with at least two MPs. Instead the party went backwards, holding Clacton but losing Rochester & Strood (and doing so by a margin of 13.6 percentage points). There is not going to be electoral reform any time soon – maybe not for a generation – so both Ukip and the Greens are going to have to find a different way of working the system to their favour. Here’s where the next election will be won and lost. 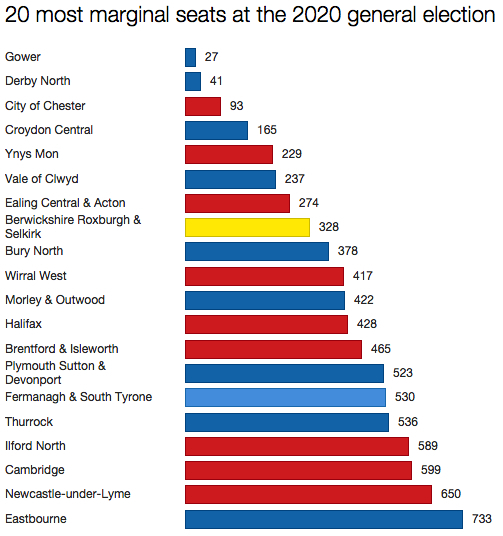 The newly-elected MPs in each of these seats might want to start thinking now about how they are going to win in 2020. The other parties ought not to wait too long to get their candidates in place. 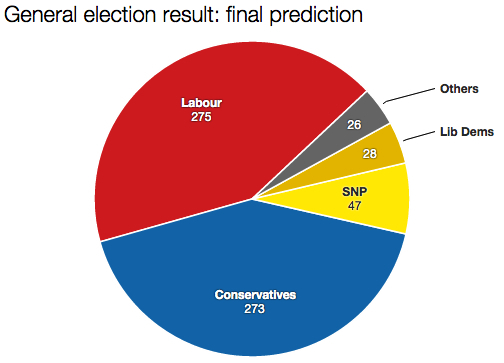 Time for my final forecast of the general election result. 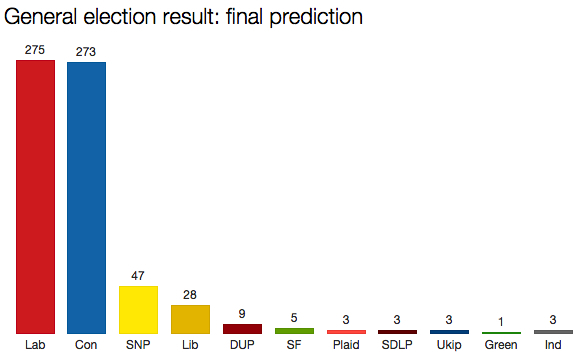 Since I began this blog exactly one year ago today, I have never put the Tories ahead of Labour in any of my predictions. The same is true now.